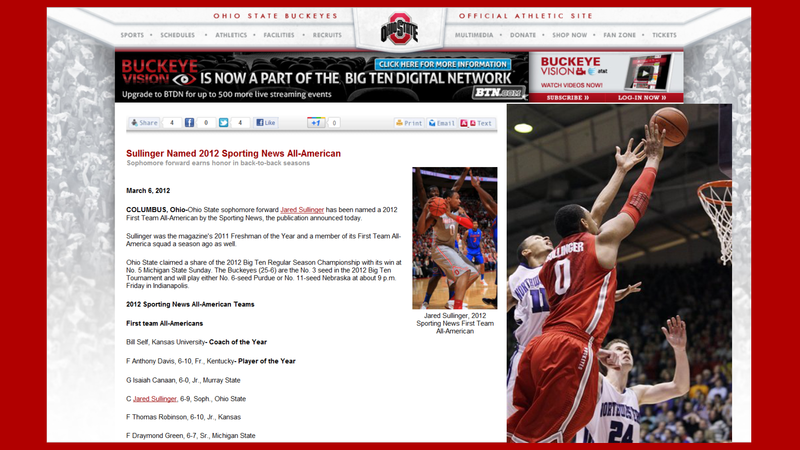 JARAD SULLINGER NAMED 2012 SPORTING NEWS ALL-AMERICAN OSU BUCKEYES OFFICIAL ATHLETIC SITE. 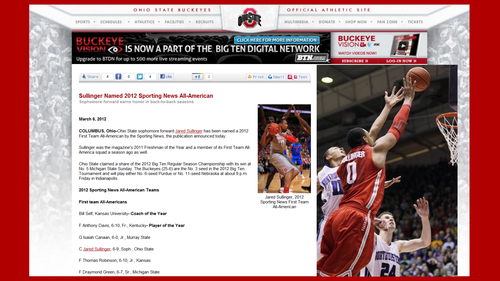 OSU pallacanestro, basket wallpaper JARAD SULLINGER NAMED 2012 SPORTING NEWS 1ST TEAM ALL-AMERICAN FROM THE OSU BUCKEYES OFFICIAL ATHLETIC WEBSITE. HD Wallpaper and background images in the pallacanestro, basket club tagged: ohio state buckeyes basketball 2012 jarad sullinger.